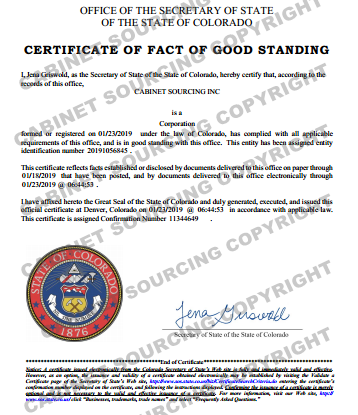 ​​​Cabinet Sourcing Inc, a company legitimately registered in CO the U.S.A., and operated in Multiple Asian countries like China, Malaysia, Vietnam, Indonesia, Cambodia. For more than ten years, we strive to supply quality cabinet with competitive price and services to customers. We represent a large kitchen cabinet manufacturing network and have strong ability in cabinet manufacturing. Cabinet Sourcing caters for various kitchen cabinet demands, and core product is American style kitchen cabinet. Our mission is to meet and exceed customer expectation in terms of cabinet quality, reliability and promptness. Our vision is to be customer's strategic cabinet supplying partner. We focus on developing a deep understanding of customer's needs and are passionate about delivering quality kitchen cabinet and services to help customers bring their kitchen cabinet business to a new level. 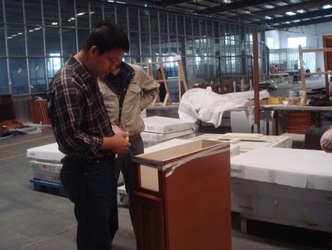 Checking the measurements and fitness of kitchen cabinets. 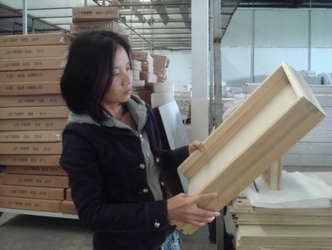 Checking the firmness and material quality of dovetail drawer box. Kitchen cabinet color consistency checking under the inspecting light. • Dependable Quality. Cabinet Sourcing never take shortcuts on kitchen cabinet quality. We build every kitchen cabinet and vanity to the highest standards. We have strict quality control system and stand behind our kitchen cabinets with a limited lifetime warranty. • In time delivery. We recognize the importance of steady lead time, and can steadily ship kitchen cabinet orders in reasonable lead time. 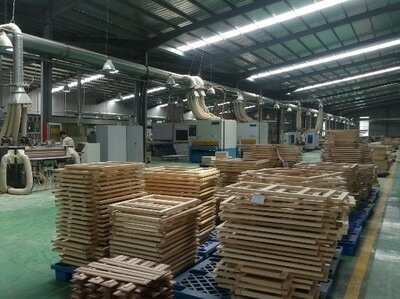 Stand behind our faith of timely delivery is stable production system, integrated supply chain and efficient management . • Competitive Price. We guarantee customer better price. Our cabinet factories employ many cost-saving measures, like advanced equipment, better raw material cost, lean production system etc. And our strategy is to keep low margin and grow together with customer. • Quality services. We support customers with timely, personalized communication and great services. We understand customer’s needs and pain points in their kitchen cabinet purchasing and supply, and solve problem for customers through our expertise in cabinet manufacturing & supply. We react to an issue or question regarding kitchen cabinet quality, production, delivery, design, sampling in 24 hours. Cabinet company who seek to import kitchen cabinet, bathroom vanity from Asia but lacks experience in importing; or already import cabinets but want to improve their cabinet supply. Honest, fair. Looking for long term business relationship and growth of their kitchen cabinet business. Looking for quality and reasonable price, kitchen cabinets of best value. Recognize the value of services, willing to pay for quality. Cabinet Sourcing has been in cabinetry industry for more than ten years. Based on realization that customers deserve better services, better kitchen cabinet and vanity products and prices, Cabinet Sourcing founded with a view of offering an complete package of cabinet supply and building a long term business relation with kitchen cabinet and bathroom cabinet customers. We've delivered a lot of kitchen cabinet orders, ranging from American style solid wood cabinet to European style high gloss cabinet, from kitchen cabinets to bathroom vanities, from kitchen and bath cabinets to kitchen cabinet accessories. We are fine kitchen cabinet factory & vanity factories with rich experience. 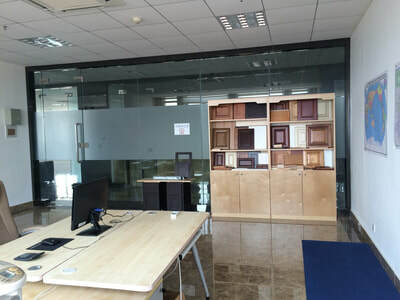 By managing cabinet supply from Vietnam, China, Malaysia basing on understanding of cabinet industry, we supply quality kitchen cabinets and vanities and help customer steadily grow their kitchen cabinet and vanity business. • Being customer orientated. The goal of our works is to help customer grow their kitchen cabinet business. • Being totally honest and frank in our deal and process of kitchen cabinet orders. • Being down-to-earth and always ready to roll up sleeves and get down to works of cabinets.